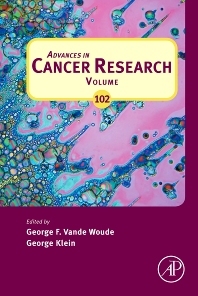 Advances in Cancer Research provides invaluable information on the exciting and fast-moving field of cancer research. Here, once again, outstanding and original reviews are presented on a variety of topics, including tumor dormancy, micro RNA, tumor angiogenesis, cancer in mouse models, liposome based chemo and autoimmunotherapy, signaling in angiogenesis, targeted cancer therapy, and regulatory t-cells. Researchers and students in the basic and clinical sciences of cancer biology and oncology, plus related areas in genetics, immunology, pharmacology, cell biology, and molecular biology.